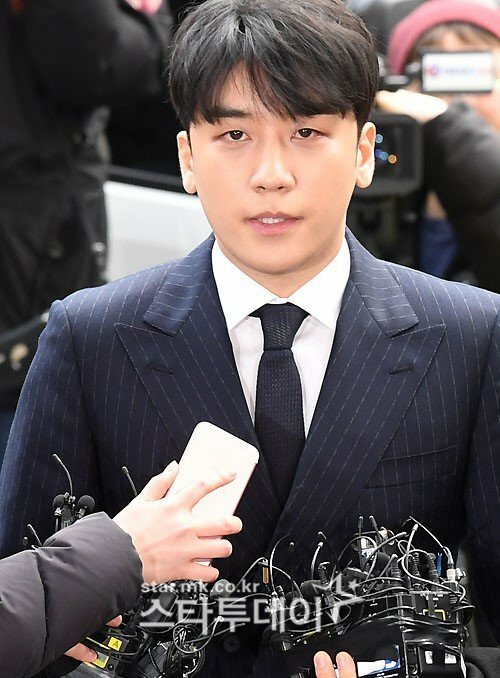 Netizens React: Seungri Gives Statement, Declares Himself "Victim"
Article: Seungri reveals statement, "Burning Sun drugs and tax evasions? I'm a victim too... I tried to stop Jung Jun Young's hidden cameras"
1. [+1,184, -39] Why is he like this? How does he have no shame or loyalty? ㅋㅋㅋㅋㅋㅋㅋㅋ He can try to disassociate himself all he wants but it's too late, tsk tsk. 3. [+970, -33] Sigh... he's really showing what it means to have rock bottom character. You can take just a glimpse at his Katalk conversations and know that he was enjoying himself with Jung Jun Young, making fun of women and Korean law. He acted all arrogant, like he had no idea how scary the world could actually be. He's trying to place the entire blame on Jung Jun Young just to try and save himself... He should realize that Jung Jun Young's videos were just the tail of the scandal. It's his illegal businesses, bribery of the police, and illegal supplying of prostitution that is the body of this case. It hasn't even begun for him yet. "Victory"? You're a failure through and through, right down to your character. 7. [+40, -5] Jun Young-ah, are you really going to let them place all the blame on you?? Don't let them do this to you, you have nothing more to lose now that you're in jail, just spit out everything you can and expose them. 13. [+22, -2] He said he tried to stop him when he met him offline ㅋㅋㅋㅋㅋㅋㅋㅋㅋㅋ what a good laugh to start the morning with. So why'd he deny everything when the scandal first broke and now he's acting like the victim with more and more being revealed? 2. [+113, -9] He's trying very hard to save himself from this but he needs to take a hard look at why people have turned on him. The worst is because he refuses to admit what he's done wrong, even a choding knows to admit what you did wrong. Instead of clarifying, he should be reflecting. Think about prioritizing what needs to come first. 6. [+21, -0] Wow, what a thug... he's really trying to save himself by throwing everyone under. His excuses don't even make sense, does he think just claiming they're true will make people believe him? 7. [+11, -0] tl;dr: "Did I really do something that bad?" 8. [+11, -1] After getting caught doing something bad with all his friends, he's like "I didn't do it, I had no idea, I tried to stop them".. it's pretty obvious what kind of person he is. Even Jung Jun Young is better than him because at least he admits his crimes. Oh...Suddenly HE’S the victim and not the numerous of women drugged and abused. This guy knew about, participated and tried to coverup illegal activities for years but we’re suppose to believe him when he said not a word until he was caught. You’re not a victim no matter how hard you try or how hard the remaining fan girls whine. A good lawyer would be telling him to shut up. This isn't helping him with the public or the criminal case so why keep making yourself look like a fool.